Foreign nationals who are on temporary visitor visas, wishes to commence work, and whose employment visa application, either 9g or 9d, is in progress. 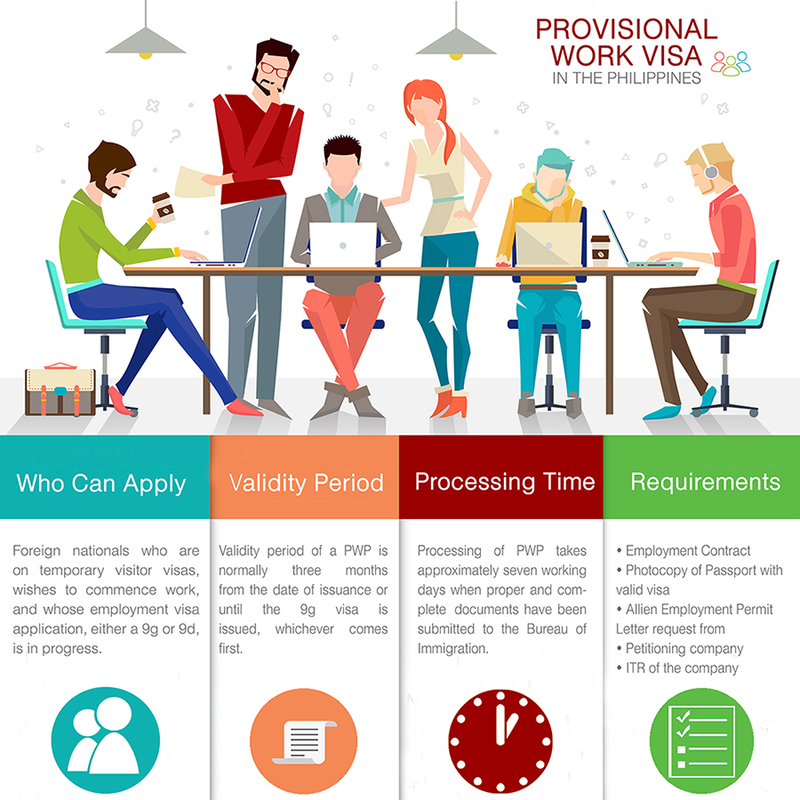 Validity period of a PWP is normally three months from the date of issuance or until the 9g visa is issued, whichever comes first. Processing of PWP takes approximately seven working days when proper and complete documents have been submitted to the Bureau of Immigration.